Every time I write about G.O, it is an exercise in celebrating his talent and beauty. His talent is a given and I will never tire of writing or talking about it. When I write about his beauty however, (most of the time) I am usually referring to something that is far deeper than what the eye can see. That is not to say that G.O is lacking whatsoever in the looks department. Far from it, actually. 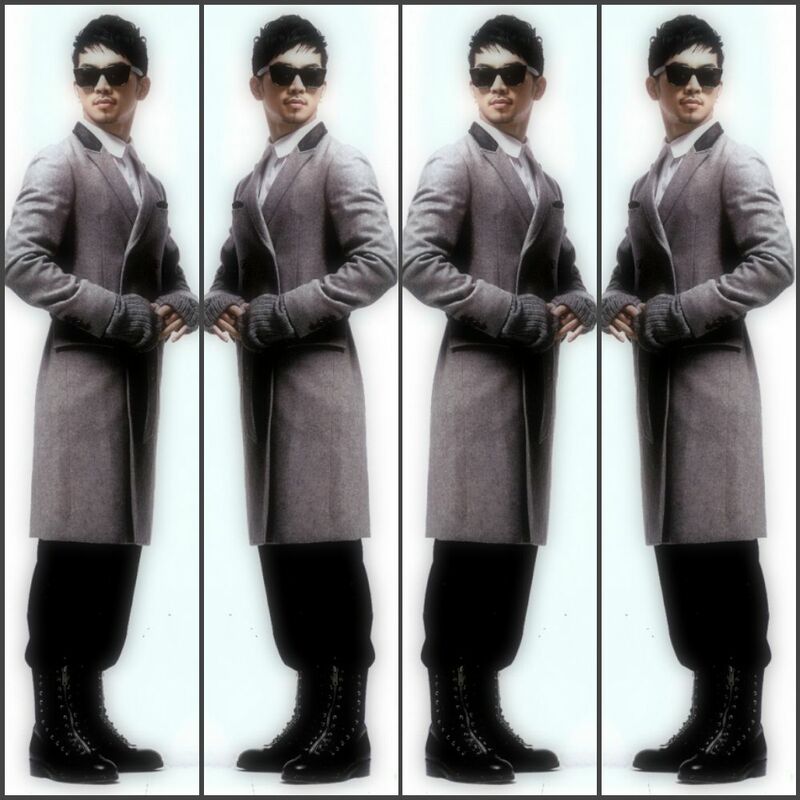 I think he is the most handsome man on the planet. That is a bold statement, I know. But I happen to believe it. So I am going to go to the shallow end of the fangirl pool today to get lost in G.O’s beauty. You know, to just sigh at some of the handsome captured over the years. Categories: G.O Military Discharge, MBLAQ Musings, The G.O Files | Tags: Countdown To Discharge, G.O, G.O images, G.O in Magazines, Happy Holidays, 정병희, 지오, Jung Byung Hee, Jung Byung Hee images, MBLAQ G.O, MBLAQ G.O images, MBLAQ G.O in Magazines, Model G.O | Permalink. I will agree that I have been stuck in 2014 for the past couple of weeks. It was a rough year, I know. But for me, it was also a magical year and those magical moments are the ones I focus on when I think of 2014. Back on Day 245 and Day 353, I featured pictures from G.O’s cheeky, adorable and gorgeous pictorial in the May 2014 issue of Campus Job & Joy Magazine. Well, there are two more pictures in that series that I have yet to share. In keeping with my 2014 momentum, I share one of those pictures for today’s G.O One Shot offering. Categories: G.O Military Discharge, MBLAQ Musings, The G.O Files | Tags: Campus Job and Joy Magazine, G.O, G.O Cover Model, G.O in Magazines, G.O One Shot, 정병희, 지오, Jung Byung Hee, Jung Byung Hee images, Korean entertainment, MBLAQ G.O, MBLAQ G.O Cover Model, MBLAQ G.O images, MBLAQ G.O in Magazines, MBLAQ G.O One Shot | Permalink. Way back on Day 245, I talked about the wonderful spring G.O was enjoying in 2014. With two critically acclaimed musicals and a comeback with MBLAQ, he was riding high and seeing quite a bit of press coverage which included landing on the cover of a couple of magazines. Pretty cool! Day 245 was a G.O One Shot day (like today). At that time, I shared a couple of beautiful shots from Campus Job & Joy and said I would not crowd that one shot post with all of the pictures contained in the article as each deserved its own moment to shine. Today is another One Shot day where I will let another moment from that May 2014 issue of Campus Job & Joy charm you. Categories: G.O Military Discharge, MBLAQ Musings, The G.O Files | Tags: Campus Job & Joy Magazine, Fedora hats, G.O, G.O images, G.O in Magazines, G.O's Military Service, Jung Byung Hee, Jung Byung Hee images, Korean entertainment, Korean Musical Theater, Korean Popular Music, Korean R&B Artists, MBLAQ G.O, MBLAQ G.O in Magazines, Model G.O, Musical Actor G.O, Pelligrino Sparkling Water | Permalink. 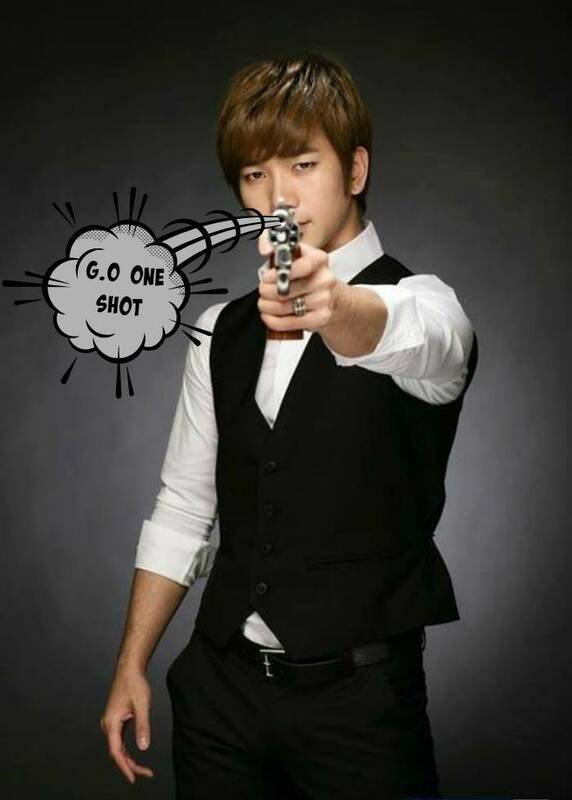 So yes it is true that 2014 had its ups and downs for MBLAQ, and specifically G.O. But the highs were really high for him. Being cast in two very prestigious musicals kind of pushed him into the limelight, as it were and he landed on a couple of magazine covers as result. I happen to think he is best magazine cover model ever and I think in the future, he will grace many more. Until then, I will honor his moment as both the cover all to himself along with a featured article in the May 2014 edition of Campus Job Joy magazine. Categories: G.O Military Discharge, MBLAQ Musings, The G.O Files | Tags: Campus Job & Joy Magazine, G.O, G.O Cover Model, G.O images, G.O in Magazines, G.O's Military Service, Jung Byung Hee, Jung Byung Hee images, MBLAQ G.O, MBLAQ G.O images, MBLAQ G.O in Magazines | Permalink. I don’t think I am speaking out of line when I use the adjective ethereal to describe G.O, especially in the June 2010 Elle Girl photo shoot and ultimate copy that was published in the July 2010 issue. He was as soft and ethereal as the gentlest caress of his voice in the tenderest of ballads. Categories: G.O Military Discharge, MBLAQ Musings, The G.O Files | Tags: Elle Girl Korea, G.O, G.O images, G.O in Magazines, G.O in Print, G.O's Military Service, Jung Byung Hee, Jung Byung Hee images, Korean entertainment, Korean Magazines, MBLAQ G.O, MBLAQ G.O images, MBLAQ G.O in Magazines, MBLAQ G.O in Print | Permalink.